UK Divorce & Separation. Get Peace Of Mind. These forms include divorce petitions and complaints, final divorce decrees, settlement and separation agreements and pre and post nuptial agreements. 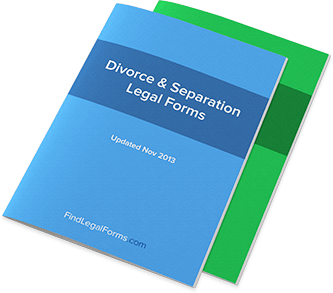 Popular - Divorce and Marriage forms for use when a couple separates or decides to divorce. Used by couples who are already married which sets forth how assets will be distributed in the event of death or divorce. Contract between two persons who intend to marry which sets forth their rights how their assets will be distributed in the case of divorce or death. Postnuptial Agreement (England and Wales) This Postnuptial Agreement Kit is designed for use in England and Wales. This legal form is available for immediate download. Prenuptial (Premarital) Agreement (England and Wales) This Prenuptial Agreement is designed for use in England and Wales. This legal form is available for immediate download. Postnuptial Agreement Amendment (England and Wales) This Amendment of Postnuptial Agreement is designed for use in England and Wales. This legal form is available for immediate download. Prenuptial (Premarital) Agreement Amendment (England and Wales) Amendment to be used when revising or correcting your prenuptial agreement. For use in England and Wales. “Divorce forms” is a term that encompasses a wide range of contracts and documents relating to the filing, settlement, and completion of a legal divorce. These documents include divorce petitions and complaints, marital separation and settlement agreements, as well as pre-and-post-nuptial agreements and amendments. While each of these individual documents and agreements serve a specific purpose, they are all considered to be divorce forms that help expedite and complete the overall legal act of a divorce. Some documents will be required and some will not, depending on the individual divorce situation of the parties involved. What kind of divorce forms are there? Prenuptial Agreements: Though not signed as part of a divorce, a Prenuptial Agreement that establishes property ownership and other arrangements can have an enormous impact on any potential future divorce proceedings. Divorce Petitions and Complaints: These forms are the “introductory” documents you will be expected to fill out when “filing for a divorce.” They begin the divorce proceedings and establish the times and dates when you first made your court requests. Final Judgment and Decree of Divorce: Given by the courts, these documents will list the court’s decisions. Other than filing and signing the other divorce forms you have filled out and agreed to, you will have little impact on the contents of these forms, though it is helpful to understand them. Postnuptial Agreements and Settlements: A “Postnuptial” Agreement is similar to a Prenuptial Agreement except for one glaring fact: it is signed after the marriage has already taken place. Couples that did not have a Prenuptial Agreement in place but still want to have something written down on paper will typically opt for a Postnuptial Agreement. Pet Custody Agreement: Because the courts will often have less to say about the custody of pets than they do the custody of children, it is up to the divorcing parties to come to an agreement regarding the custody and care of their pets after the divorce. Child Support, Visitation and Custody Arrangements: Providing for the care of the children after a divorce has taken place is a top priority of the courts, as well as the parents involved. Divorce Appearance, Consent, and Waiver: When one spouse agrees to join the other in moving for a divorce, these documents help expedite the process and ensure the courts are aware of the intentions of both parties, not just the petitioning party. While these are some of the most important divorce forms you can use, there are a number of other forms that may still be relevant to your individual situation, such as Alimony Past Due notices. Which divorce forms do I need? Determining which divorce forms you need will depend on your specific situation. If you are getting married and want a potential plan in place, a Prenuptial Agreement will probably work best for you. If you are already married and want a similar plan in place, you and your spouse would require a Postnuptial Agreement. If you are already on the receiving end of a divorce filing and want to agree to the process, you may want to pursue Divorce Appearance, Consent, and Waivers. What about if I have/don’t have children? Marital Settlement/Separation Agreement: This document is frequently customized to include the phrase “With/Without Children” in order to better suit your individual situation. If you do have children, there will be specific clauses and provisions included (such as the “Children Identification Clause”) to help the court identify the children and their basic needs. Both forms will also address alimony issues, property division, division of bills, etc. Complaint/Petition for Divorce: In filing for divorce, it is important that you establish right away whether or not there will be children involved in the process. A Complaint for Divorce for couples with children, for example, should be tailored to that situation. The same is true for Complaints/Petitions for Divorce in marriages without children. If you are planning to download any forms yourself, it will be important for you to make sure that you are downloading the correct ones. Divorce forms tailored to your child situation are widely available. When are divorce forms enforceable? Because each divorce form is different, the enforceability of each specific document will similarly rest on different factors. In some cases, these forms will not require enforceability between two parties at all but instead simply need to be filed with the courts (as is the case in Complaint/Petition for Divorce documents). In other cases, however, enforceability is a key issue. For example, the enforceability of a Prenuptial Agreement can be a hotly-contested point between you and your spouse. If this is the case, then a Prenuptial Agreement will not only have to be valid (see below), but will have to stand up to the circumstances of your divorce. If the Prenuptial Agreement allows itself to become void in certain circumstances, then it will cease to be enforceable. What are the requirements for divorce documents to be valid? The validity of divorce documents hinges on the same factors as most contracts. Agreements between two parties will require that each party lawfully gave their full consent, and that the provisions of said agreement were also lawful. Divorce documents, such as Complaints and Petitions, will also need to be filled out accurately and filed properly if they are to be considered as valid by a court of law. When is a divorce document effective? In the case of Prenuptial Agreements, the document in question is effective assuming its validity is not in question and the two parties have got married. Other divorce documents – such as Marital Settlement/Separation Agreements – are effective contingent upon court approval and finalization of the divorce.